Chard is often added to salads to increase the flavor. It can also be prepared like spinach, and its stalks like asparagus. In fact, its leaves serve as a good substitute for spinach in most recipes, but they will need to be cooked slightly longer. 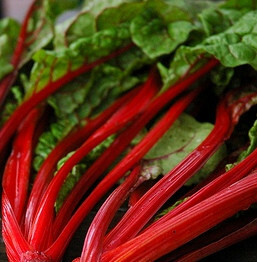 Chard may be steamed, sautéed, or braised, and it can be added to soups, stews, and casseroles. The leaves and stems may be cooked and served together, or prepared separately as two different vegetables. The Italians make an egg frittata with chard.